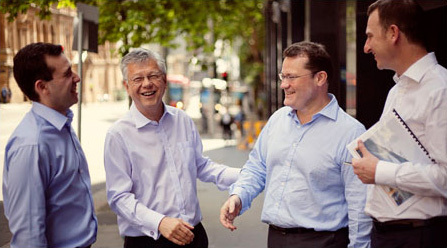 CHAMP Ventures is one of Australia’s longest running private equity partnerships. CHAMP Ventures is one of Australia’s longest running private equity partnerships. Our philosophy is to partner with entrepreneurial founders and management teams to grow businesses. We are flexible in our approach and make both minority and control investments. We have a proven track record across different industry sectors and investment cycles. We are currently investing our seventh fund, targeting equity investments of between $20 million and $80 million.